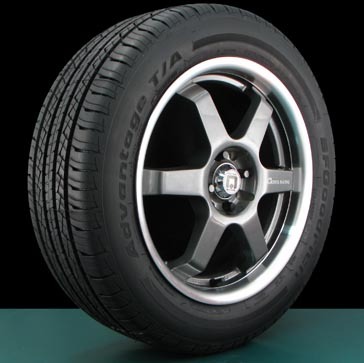 Making a tire purchase is an important investment in your vehicle, as well as your safety. To get the most out of your new tire purchase, Sullivan Tire offers a Tire Maintenance Protection Plan (TMPP) to protect your tires from situations the manufacturer’s warranty does not cover. Sullivan Tire’s TMPP covers damage from potholes, nails, glass and other hazardous situations you may encounter while driving. If your tires are damaged beyond repair, the TMPP offers FREE tire(s) replacement within the first 12 months or first 25% of wear, whichever comes first. After the initial 12 months or 25% wear, Sullivan Tire will offset the cost of a new tire(s) based on how much tire tread you have remaining. Customer satisfaction is our number one goal. Offering our customers the TMPP is another way for us to ensure you receive the best value, products, and protection for the road ahead. For more information on Sullivan Tire’s Tire Maintenance Protection Plan, including pricing for your tires, please contact our Tire Experts or any of our 57 retail locations! Looking for more control and fun while driving your vehicle? The BF Goodrich Advantage T/A tire will do just that! The BFGoodrich Advantage T/A is a high-performance all-season tire with tread life warranties ranging from 60,000 to 75,000 miles, depending on speed rating. The tire contains an all-season tread compound which is developed for excellent wet and dry traction. The ETEC (Equal Tension Containment System) maintains the tread footprint for consistent high-speed control, giving you the responsiveness and maneuverability you need! This tire will enhance the ride quality by promising a smooth ride with incisive handling while guaranteeing long mileage all at the same time. The Advantage T/A is top-ranked within the BF Goodrich brand. This tire performs well in dry and wet traction. Thanks to the innovative G-grip interlocking sipe design, it is also rated above average in the snow traction category which will help when the New England winter arrives. The circumferential grooves are deep, wide channels for maximum water evacuation, giving drivers confidence in wet weather conditions. As stated before, the ride comfort and quick steering response rates higher than most all-season tires. This is primarily due to a G-wall sidewall stabilizer unique to the Advantage T/A. The Advantage T/A is the perfect tire to pair up with your trusted vehicle. By building the BF Goodrich racing heritage into and everyday tire, the Advantage T/A makes driving fun again! When looking for an all-season tire that meets the average driver’s needs, the BF Goodrich Advantage T/A will exceed all requirements. This outstanding tire is a safe and reliable tire choice that will keep your vehicle rolling on its way to all your destinations. To find out if the Advantage T/A is the right tire for your needs please call our tire experts at 877-592-TIRE or search our BFGoodrich product page. And from now until July 28th you can receive a $50 mail in rebate when you purchase any four BFGoodrich tires! Plus…call our tire experts and ask how you can double that rebate instantly!